So here are the top 10 things you can do to have a healthy heart. 1. The first one on the list and the one most of you are familiar with is cardiovascular exercise. Cardiovascular exercise is simply exercise that will bring your heart rate to about 70% to 80% of your maximal heart rate. The formula for maximal heart rate is 208 – (0.7 x your age). Such exercise is simply any type of activity that makes you breathe deeper and quicker and that makes you sweat. Some examples are exercises on a tread mill, step climber, swimming or running. These exercises make the heart stronger. The heart is a muscle so just like bodybuilding working the muscle makes it stronger. It also makes the arteries that supply the heart cleaner and more elastic. It prevents the build up of cholesterol and fat that is responsible for heart attacks and strokes. Finally such exercises decrease blood pressure in between workouts. This is extremely important because hypertension is a silent killer. For a long time we may not be aware of it and it doesn’t cause damage right away, but when it does it is usually irreversible. 2. The second very important point is proper diet. The diet should be free of fast foods, processed foods, and food with high cholesterol. Examples (unfortunately) are burgers, french fries, and pizza loaded with cheese. A heart-supporting diet should be rich in antioxidants such as greens, and vegetables in general. Some fruits like pomegranate are also excellent. As far as supplements go the best antioxidants for heart health are resveratrol and grape seed extract. You can find both of these products at Vitarock. Resveratrol comes from grapes and some is found in red wine. That is why one small glass of red wine on a daily basis is considered good for your heart. But be cautious of this technique. Alcohol in higher doses than one glass of red wine per day is unhealthy to the heart. The other aspect to consider is that it would take you 10 glasses of wine to provide the amount of resveratrol in one capsule of the leading brand. Another important point is sugar control. Too much sugar in the form of simple sugar or simple carbohydrates is toxic to arteries including the ones in the heart. Try to stay away from simple sugar sources like pop, sugar, sweets, white pasta, too much white bread and fruit juices packed with sugar. If you have diabetes maintain the healthy diet outlined above and try to keep you insulin at a proper level. 3. Proper blood pressure. As mentioned above, hypertension is a silent killer. The reason for this is two fold. First when the blood flow in arteries is too quick it causes turbulence. This turbulence causes small rips to form in the inner lining of arteries. These tears are where cholesterol and unhealthy fats accumulate and cause plaques. These plaques can eventually block the artery and stop the flow of blood. Such occurrences cause heart attacks, strokes, kidney damage, and claudication (i.e. lack of strength and pain in the legs upon walking). Second hypertension also makes the arteries more rigid, which means that the arteries have a harder time dilating when physical exertion is performed. 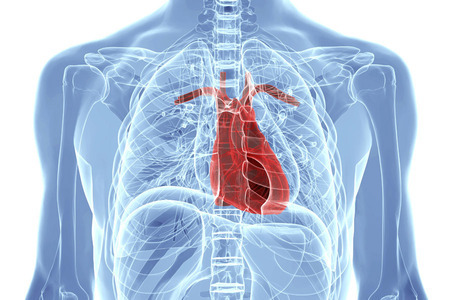 In the heart this means less blood flow during physical performance which again can lead to a heart attack. 4. Limiting tobacco use, alcohol consumption and not using stimulants such as amphetamines or cocaine is paramount. Tobacco smoke has over two thousand carcinogens. It also increases blood pressure and accelerates the formation of artery plaques. Alcohol on the other hand weakens the heart muscle making it less efficient. It also dilates the heart which can lead to heart insufficiency. Stimulants cause hypertension and they also contract the heart arteries. These contractions can be so severe that they can actually block the flow of blood entirely again leading to heart attacks and strokes. 5. Supplementing with L-arginine. This amino acid is the precursor to the production of Nitric Oxide. This compound is what makes arteries dilate for better blood flow. This is especially true for the heart. The heart is constantly working and contracting and the blood vessels that supply it with nutrients and oxygen are very small. Thus it is very important that these blood vessels stay dilated and be able to dilate even more when the heart rate goes up. L-arginine can be taken in the form of a supplement or supplied by foods rich in this amino acid. Almonds are a great source. Kyolic with arginine is a great combination of arginine and aged garlic extract for heart health. 6. Fish oils or krill oil rich in Omega 3 and Omega 6 fatty acids are excellent for the heart. They work as antioxidants and lower blood pressure. They are also excellent for the brain, supporting memory formation as well as for improving our mood. There are many products in the marketplace rich in these fatty acids including the ones at Vitarock. 7. Coenzyme Q10. This miraculous compound is an essential part of what is called the electron transport chain. I know, it sound like science fiction. In fact this chain, which is basically a sequence of chemical reactions, is the number one system in our body for extracting energy from our food. Such energy production is especially important in the heart as the heart is constantly active 24/7. Kyolic is an ingenious brand that has combined Co-enzyme Q10 with aged garlic extract. 8. Garlic, and especially aged garlic extract, has to be included on this list. Garlic protects us from infections but it also lowers blood pressure and makes the blood more fluid. More fluid blood is safer for the heart because there are fewer chances that it will clog up the arteries in the heart. Doctors will make you take aspirin for the same purpose but garlic can do this just as well without the risk of developing stomach ulcers. Your best choice for aged garlic extract is by far the brand Kyolic. 9. Nuts, especially walnuts and hemp hearts are packed with Omega fatty acids. So if fish oil is not your thing, you can substitute with these healthy gifts of nature. Hemp hearts are also rich in proteins, vitamins, minerals and fiber which will help in the maintenance of a healthy GI track. At Vitarock you can provide you with hemp hearts at a very low price. By following these important yet simple rules you can dramatically improve your quality of life as well as increase your life expectancy by as much as 40 years. That’s a long extra time to be living a productive and enjoyable life! For more details on these steps as well as topics of dietary supplements for heart health I invite you to follow my blogs at Vitarock.com. Good luck and may your heart be a happy and healthy one.